This week Jack, like many other children is starting Reception. He had a fantastic time at nursery and learnt so much however when he got home learning was pretty much out the window and he much preferred to play. 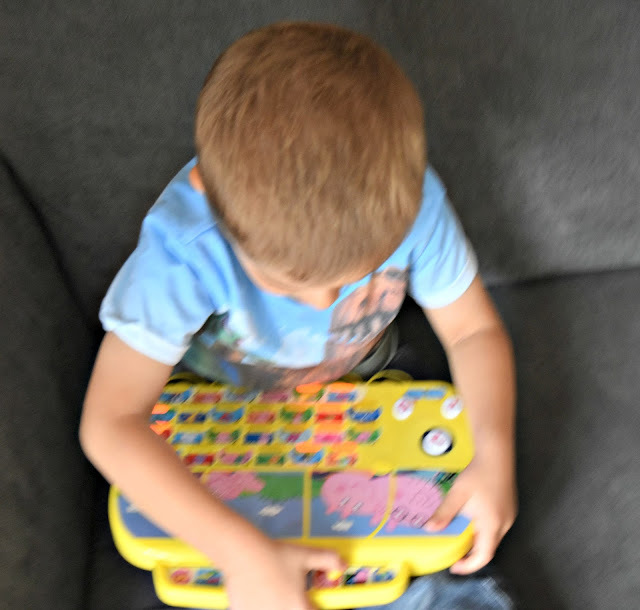 Letters and phonics were never a strong point for him, much preferring his counting so when we were offered to review the Peppa's Alphaphonics Campervan, I thought it would be great for encouraging phonic learning. The Peppa's Alphaphonics Campervan supports the learning of the alphabet, spelling, phonics and word recognition. Included are 8 fun games to encourage your child to learn. 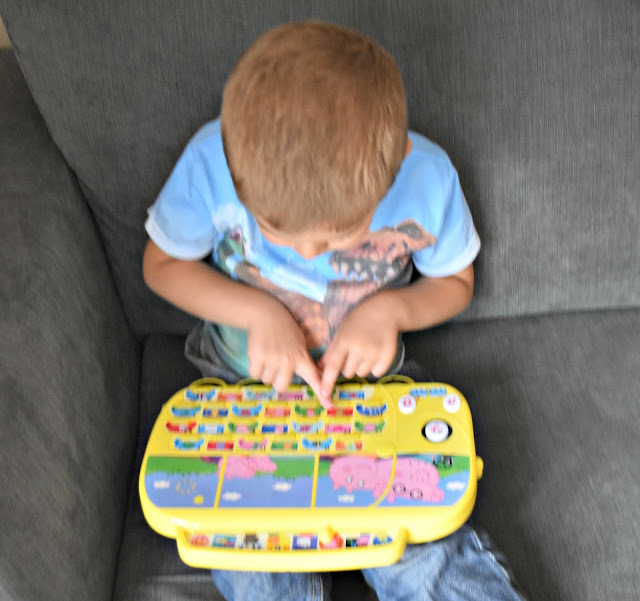 Find the character or object - Peppa will ask you to find a character or object, you then get three attempts to find it. Included on the campervan are words and pictures so perfect for all ages. On your first attempt if you get it wrong the campervan lights up 5 possible answers, wrong again it highlights 3, if your wrong on your final attempt it just gives the answer. Try & Spell - Peppa will give you a word in the pictures, you then have to spell the word out. Again 3 attempts are given before giving you a hint. What's the letter - Peppa will ask you to find the first letter of a word in which she will give you. Again, working on 3 attempts as previous games. Find the letter - Peppa will give you a letter sound and then you need to find it upon the campervan. 3 attempts are given, if you are wrong on the first attempt 5 possible answers are given, wrong again, 3 possible answers given if wrong a final time the answer is given. Copy Me - Peppa will ask you to copy a sequence of buttons as they light up on the screen, simply get it right. Along with the games, you can also press each individual letter to hear the phonic sound along with the word in the picture. There is also an 'abc' button which will play a tune about the alphabet. As it plays each individual lights up when the sound is coming to help your child relate the sound to the image. I found this built upon the initial knowledge in which Jack had of phonics and extended it too. The different activities meant he was kept occupied for a lot longer than he normally would be as he could keep changing the activity to another. However at the same time hes learning a great deal too. This toy helps develop so many skills for children including memory and recognition, listening and attention, communication, along with stimulating the senses. 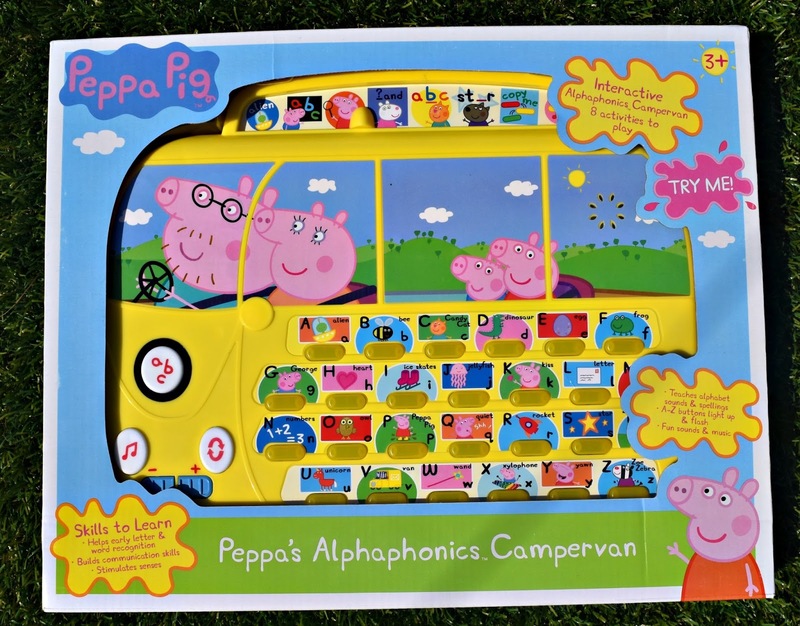 The Peppa's Alphaphonics Campervan is aimed at children 3+ although I think it could be used from an earlier age too. Priced at £19.99 I feel its great value for money. 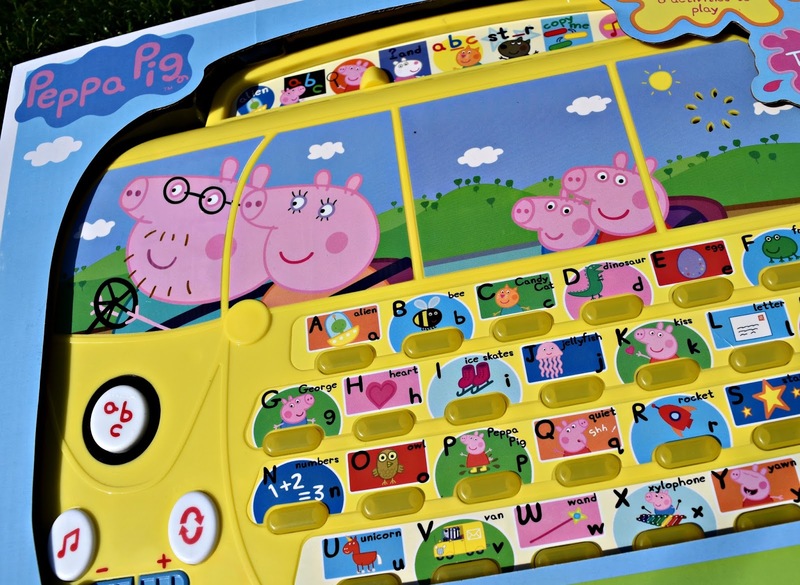 Although its more aimed towards Peppa fans, I'm sure any child would love this toy. The only downside to this toy from a parents point of view is there is no off switch as its automatic. It's available at all good retailers and toy stores, including Smyths, Argos, Tesco and Amazon. Please Note: We received this toy for the purpose of this review, however all views and opinions are our own and not influenced in any way.